Deluxe Weed! is a strategy card game where players compete to grow the most pot plants. 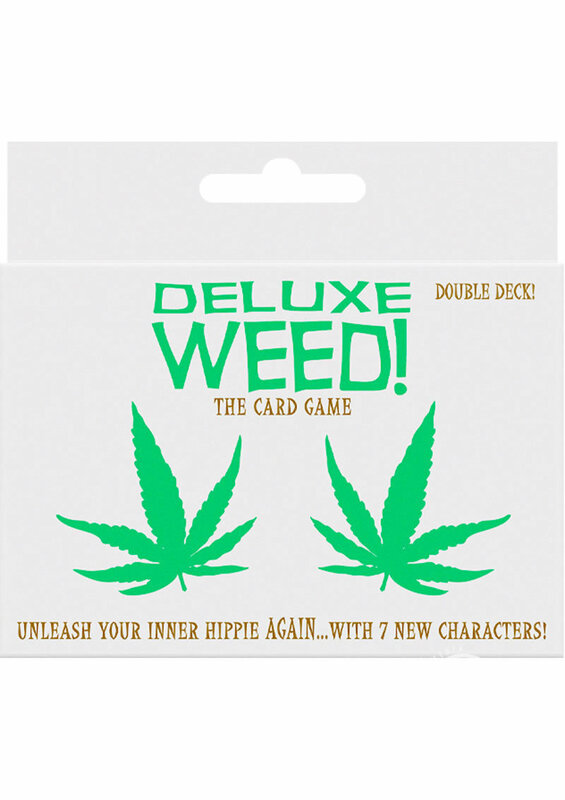 Deluxe Weed! 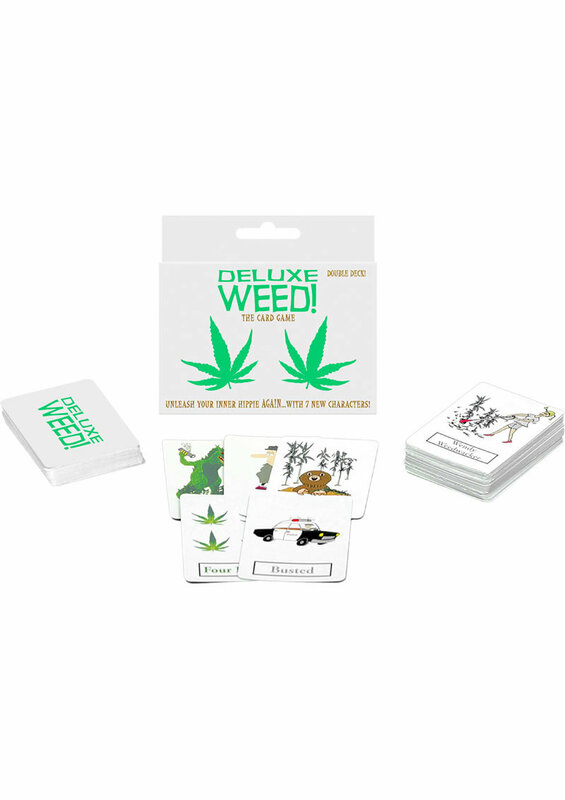 includes all the same cards as the original Weed! card game and 7 new characters! You can still Steal plants from other players and Bust another player for possession. Now you can also use Wendy Weedwacker to slowly hack away at someone's garden. Bugs eat away at a plant card unless you stop them with a can of Bug Spray. POTZILLA still wipes out a player's entire garden, but you can now annihilate everyone's crops with Slash Burn.